If your existing water heater starts acting up and you think it might be time to install a new one, your first step is to contact us for more information at (949) 371-8413 to schedule an appointment or to get more information. Our experts can go through an easy to understand rundown of all the options in new water heaters, whether tank or tankless, gas or electric. We will help you choose the right water heater for your Anaheim, CA home. When selecting a new unit, it is important to consider the overall water usage in your home – including the number of people and their personal usage habits. We will go over the many sizes and features to make sure that you get the right size water heater installed, as an unnecessarily oversized tank can be a waste of energy to heat. Tank or Tankless: Depending on your budget and usage needs for a new water heater, both types have their benefits. 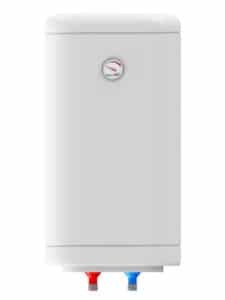 A tankless water heater may be more expensive to install, but offers tremendous energy savings throughout the life of the unit – only heating the water you actually use. On the other side of the coin, installing a new tank water heater is relatively inexpensive – but you are constantly heating water that is not used. Gas or Electric: Depending on whether your existing tank water heater is gas or electrically powered, will typically determine the type of tank unit that is best for your home. Once we have gone over all of the options and you decide to hire our water heater installation team, we will remove the existing unit and prepare for the install. In some cases additional work will need to be done, such as retrofitting to accommodate tankless water heaters. Hot water is a necessity, so if your water heater tank is more than 8 years old, or is starting to act strange – trust our highly qualified technicians to guide you in the right direction. Call us at (949) 371-8413 to schedule an appointment or to get more information. If you begin to have problems with your current water heater unit, be sure to call us immediately at (949) 371-8413. Small leaks from the tank can turn into big flood problems for your home, and can also damage your plumbing system. Thermostat failure can also lead to scalding hot water, or cold water when you are expecting something else. In order to get the maximum lifespan from your water heater, it is necessary to have a quality plumbing service perform regular maintenance and repairs on your unit. Our team of water heater repair experts can perform the necessary work to keep your unit in top condition for as long as possible. Your water heater tank performs three important functions including heating the water, storing and keeping the hot water ready for use, as well as pushing the hot water to the outlet that needs it. Once the unit fails any of these three tasks, it is necessary to have a repair and replacement expert review and assess the costs involved. Depending on the situation and age of the water heater, it may be more cost effective to replace rather than repair it. 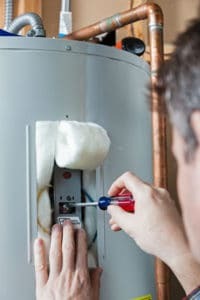 Contact our team of Anaheim water heater repair experts to schedule a full inspection of your existing unit and get an honest assessment of the repair and replacement options. Call us today at (949) 371-8413 for more information.